2017 is NMAC’s 30th Anniversary. To commemorate 30 years in the fight, we are paying homage to our past and paving the way for our future leaders in the movement by offering an exclusive Membership rate of $30 to People Living with HIV and Youth under the age of 25. Please join or renew your membership in tribute to our 30 years of service to ending the epidemic. Be part of our wall of paid members who make NMAC’s work possible. 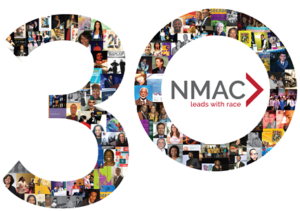 If you believe in our mission to lead with race, if you want an agency to fight for health equity and racial justice, then please consider becoming a Member for NMAC’s 30th Anniversary. Our work is challenging and we need you now more than ever. If you attend the United States Conference on AIDS or plan to attend the Biomedical HIV Prevention Summit, you’ve seen the impact of our work first hand. We are so much more than these meetings, we are the hope that fights every day to end the HIV epidemic. The belief that our movement must address race if it’s going to create an AIDS free generation is critical. You may not be fully aware about our many programs, but it’s our work in coalition with many partners that gives our movement a voice on Capitol Hill. We work with our allies to fight for justice for people living with HIV. NMAC brings together diverse communities impacted by HIV so we are stronger together. We’ve fought beside you for 30 years and will continue to serve those populations most impacted by the HIV epidemic. None of us can survive alone; we do it as a community, as a movement. 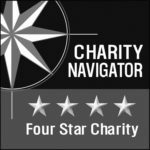 Become a 30th Anniversary Member and put your name on our 2017 Wall of Support or if you are already a member- please consider donating $30.00 in support of our work. Thank you for your long- term commitment to NMAC, thank you for fighting to end an epidemic, and thank you for supporting people of color in our quest for health equity and racial justice.